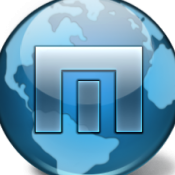 I want to suggest very useful new features for Maxthon. 1. I set "Open on startup" setting to "Last Session". When I start Maxthon then I always click on "Open All" button. After this Maxthon very heavy load my system. Maxthon opens many-many-many pages (100-200+ pages, my family like leave opened pages after browsing ), but in this moment nobody don't need in pages that would be updated. Please change logic for "Open All" button on "Last Session" to don't updated all pages from last session, kindly use cached pages and try update page when user click on this tab or just show cached version for him and he will decide to refresh this page or not. 2. I often open long pages that don't have at bottom "to the top" button. In order to return on the top of page I need always press "Home" on keyboard. It is so hard to do in a dark night room . Could you to make when user click on page tab then automatically browser shows the top of this page, the same as it works in Opera browser. NO1 I don't think you realize how bad #2 would be for most users. - after reading these new tab pages, you click on the original tab. Do you really want to search again for your last place on that page starting from the top? And I suggest you talk to your family and tell them to not leave 100 to 200 pages open. It's your computer, you set the rules.